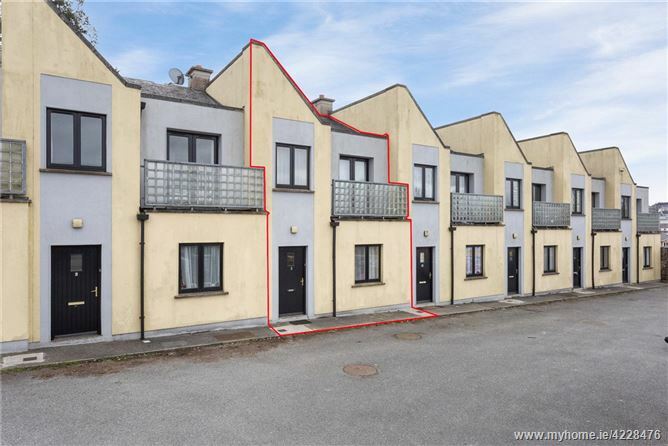 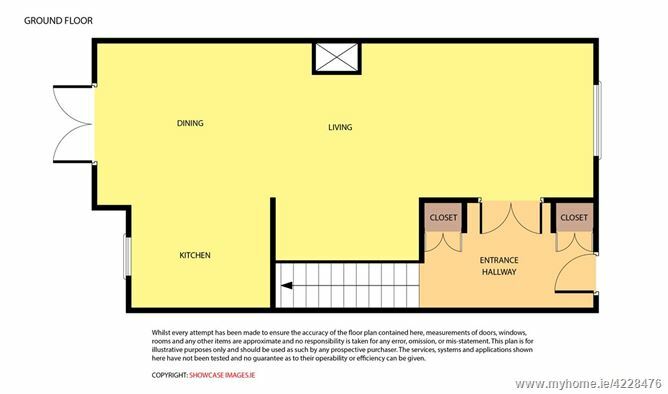 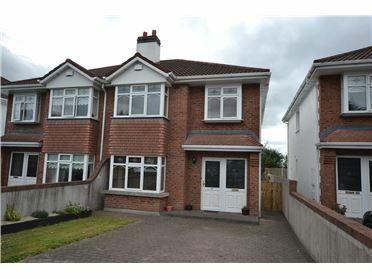 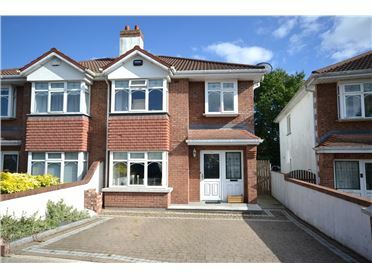 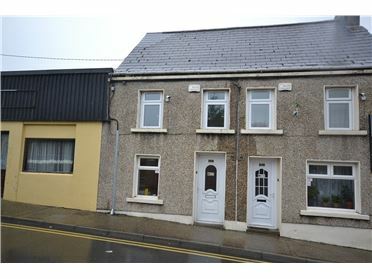 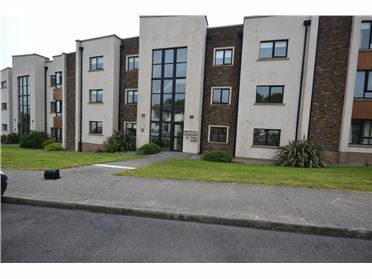 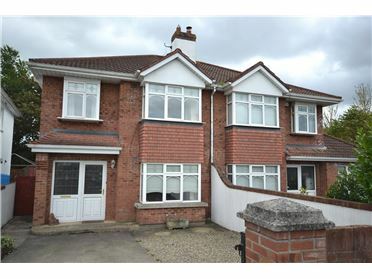 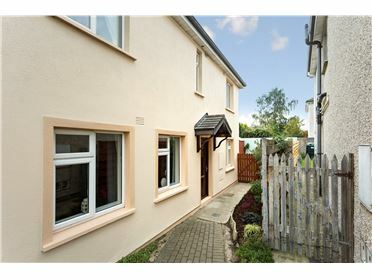 A modern three bedroomed town house close with every convenience to all amenities in Enniscorthy Town. 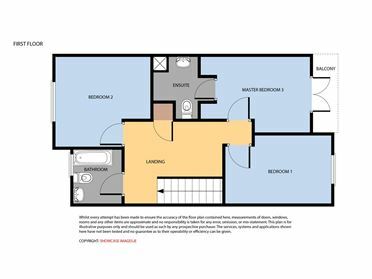 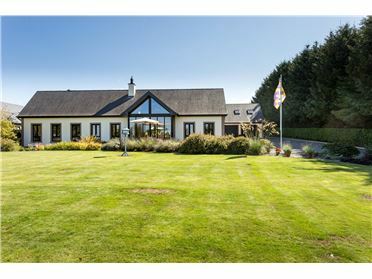 Spacious accommodation extends to 1000 sq ft approx and enjoys an open plan living space on the ground floor, with a sold fuel stove in the living area, fully fitted kitchen with breakfast bar, double doors to rear south facing patio. 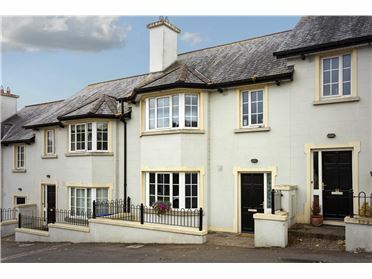 A timber staircase rises to the first floor with three well proportioned bedrooms, one with ensuite and double doors to balcony and a family bathroom. 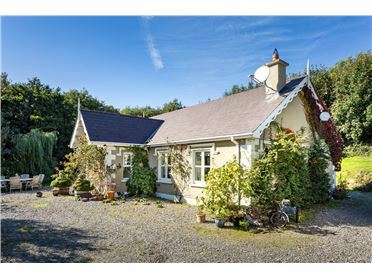 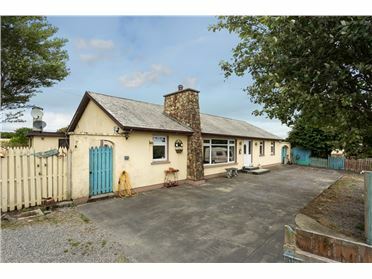 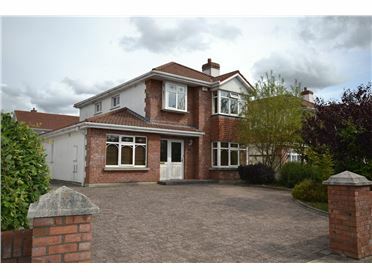 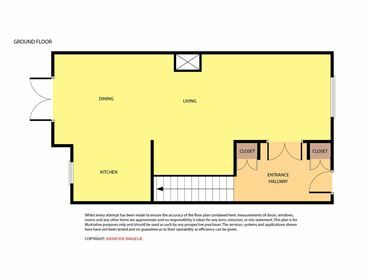 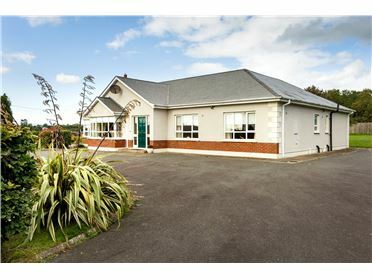 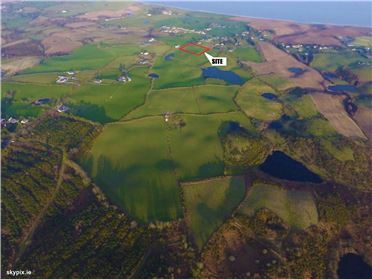 The location of this property has easy access to the train station, shops, restaurants, pubs, schools and churches in Enniscorthy Town. 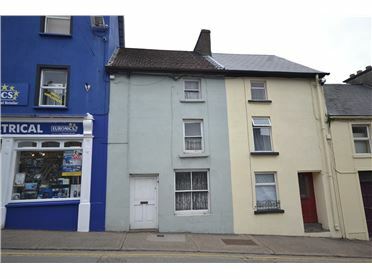 From Enniscorthy proceed over old bridge keep left passing Treacys Hotel on right. 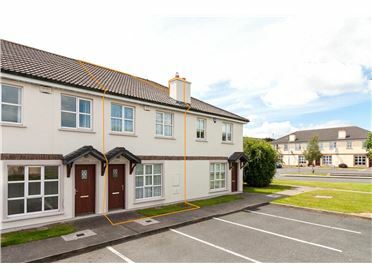 Take the second turning to the right, property is on the left hand side.